Click here to go back to Aleinu. Click here to go forward to V'Sham'ru. Why Do We End Services with Ein K'Eloheinu? Ein K'Eloheinu is a traditional poem that is often sung near the end of the morning service, especially on Shabbat and Festivals. The song is closely associated with a statement in the Talmud that "a person should recite one hundred blessings each day" (B. Menachot 43b). The first three stanzas of the poem begin with the Hebrew letters Aleph, Mem and Nun, which spell the word "Amen." According to a fanciful interpretation, each "Amen" in the poem counts as reciting a blessing, helping a person to reach the goal of one hundred blessings each day. Each stanza of the poem includes four names of God: Eloheinu (our God), Adoneinu (our Lord), Malkeinu (our Ruler), and Moshieinu (our Redeemer). These four names for God are in the order in which they first appear in Torah. 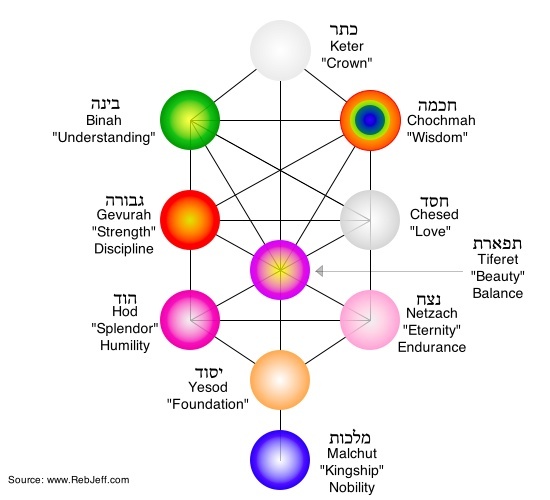 Each name is associated with a different aspect of God. Eloheinu is associated with God's quality of justice. Adoneinu is associated with God's quality of compassion. Malkeinu is associated with God's sovereignty over our lives and the universe. Moshieinu is associated with God's quality of helping us transform ourselves and become better people.